This paper describes transfer of skills obtained from training with the EyeSI virtual reality simulator of ophthalmic surgery to real-life surgical performance. Skills in real-life phacoemulsification surgery were assessed by systematic blinded evaluation of surgical videos based on the OSACCS system. 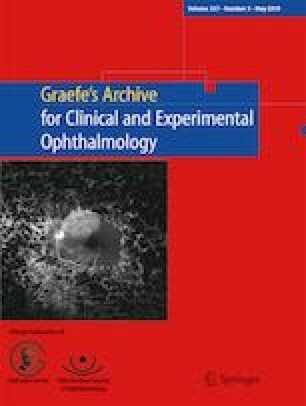 Nineteen Danish cataract surgeons with varying clinical experience levels had their cataract surgery skills evaluated before and after completing a standardized mastery learning program on the EyeSI. It was found that transfer of skills could be demonstrated only for surgeons with a real-life experience of less than 75 completed, independent cases. We could not demonstrate transfer of skills from the EyeSI cataract module to the EyeSI vitreoretinal module, so each subspecialty seems to require specific training. Finally, the discriminative power of EyeSI simulation between emerging surgeons and experts was found to reside only in the first training sessions. The EyeSI simulator in its current state of development, and our implementation of it, seems to require further development before it can be used as a tool to select residents for surgical training and to re-certify more senior surgeons. The study was founded by Fight for Sight Denmark, velux foundation, and the Synoptik Foundation. All procedures performed in these studies involving human participants were in accordance with the ethical standards of the institutional and/or national research committee and with the 1964 Helsinki declaration and its later amendments or comparable ethical standards. Informed consent was obtained from all individual participants in the study.